We’re all about saving you money. If that means looking at every potential life avenue, then that’s what we will do. So, while we understand your desire for a new dog, we also realize that the cost of rearing a dog can be exorbitant. There seems to be a never ending expenditure, much like having a child. You’ll need to purchase toys, crates, medications, and even pay for doctor’s visits. Thusly, we would like to provide you with money saving tips that apply to your new dog. If you choose to shop online, we recommend researching Yippr dog collars & pet supplies. They create some of their very own products and promise to offer you affordable prices. Of course, saving money is great, but when that savings comes with quality products and first rate service, you can’t do any better. Once you’ve checked out what they have to offer, it will be time to consider these other money saving suggestions prior to choosing your new canine friend. Adopt– This is our first suggestion. If you don’t feel like you need a designer dog, getting one from the shelter will save you a good deal of cash. And, a lot of shelters already offer the vaccinations and spaying/neutering that your dog will eventually require. So that means you’ll save money on vet bills too. Responsible Breeder- We understand that some people have their hearts set on pure bred dogs. Just be sure that you use a reputable breeder and that you do significant research before handing over that fat chunk of dough. Bad breeders will sell you sick dogs and you will have no way of returning the pup as they are almost always an “as-is” deal. Learn more. 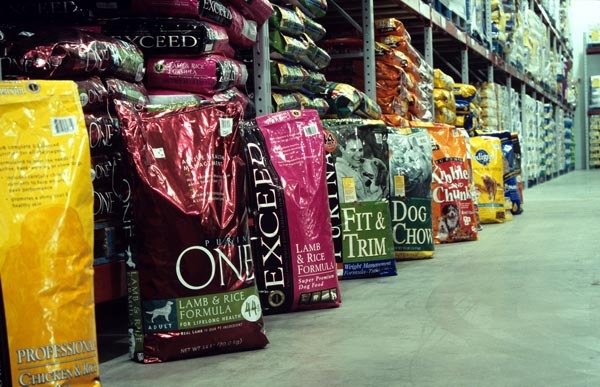 Shop Around– We suggest that you utilize Yippr for your online pet supply needs, but if you would rather purchase something immediately, check out Costco or Sam’s club. Warehouse superstores will sell you food in bulk at a discounted rate. That can save you a good deal of money. Shop around for the best deals, and be patient if you utilize online resources. Saved money is time well spent. Housebreak– Most people would think this is an obvious answer, but there are people who are too busy to housetrain their dogs and therefore they spend a lot of money on wee pads and cleaners. Get the dog going outside and your house will smell better and you’ll have more money in your pocket. Read this. Used Goods– You probably have friends who have old dog stuff they aren’t using anymore. A used collar and leash could save you $30 at least! And, if they’ve got an old crate, you could really be racking in the savings. There are several other suggestions to help you save money on your new dog, if you would like to read the rest of the article, here.